Pop soul outfit from Birmingham, fronted by Kevin Rowland and formed in 1976. Dexys enjoyed chart success with tracks like 'Geno', 'Jackie WIlson Said' and 'Come On Eileen', the latter a No 1 hit all over the world, selling more than a million copies in the UK alone and getting aunties on dance floors ever since. 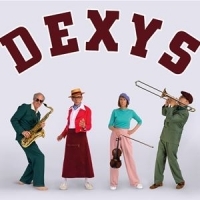 Dexy's Midnight Runners split in 1986, reforming in 2003 and changing their name to simply 'Dexys' in 2011 - they issued the comeback album "One Day I'm Going To Soar" in 2012.